Earlier this week Facebook began alerting users whose data was accessed by Cambridge Analytics with a popup at the top of the News Feed. To my understanding, the alert is slowly being sent out to those impacted. A message titled “Protecting Your Information” will show up on your Facebook page with one of two notices. If you or a friend was connected to the “This is Your Digital Life” quiz that’s the source of Cambridge Analytica’s data, you’ll see a message telling you the quiz was banned. It will notify you that some of your Facebook information might have been misused and will include a link for you to click to see how you’re affected. 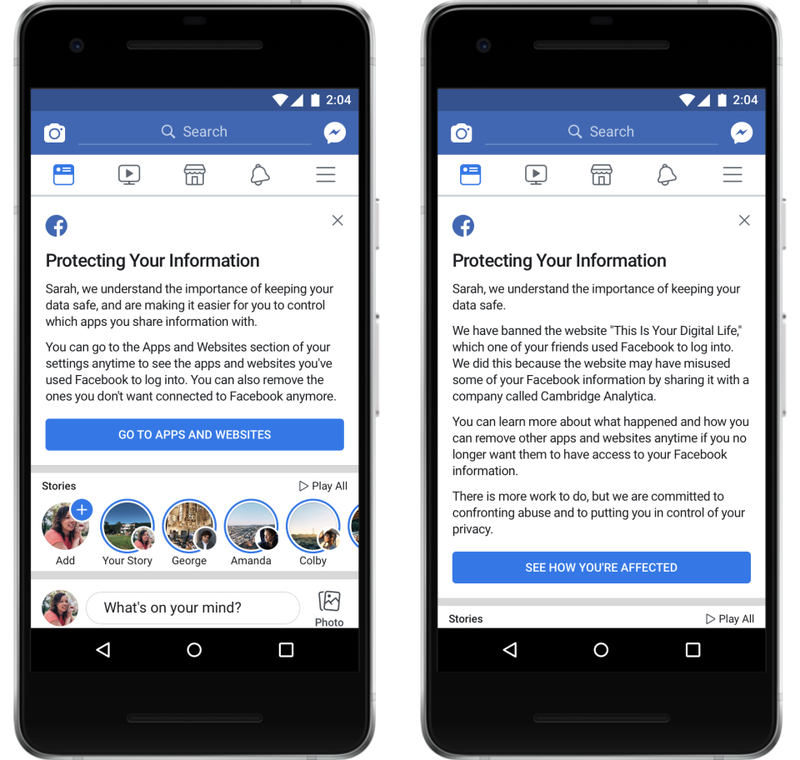 If no one in your network accessed “This is Your Digital Life,” you’ll see a different message — still titled “Protecting Your Information” — that makes it easier to see what apps and websites are linked to your Facebook account. It’s possible you could be one of those affected by the Cambridge Analytica scandal. Rather than wait for the alert, it’s wise to just check yourself by going to your Facebook app settings section. If you’re having trouble getting to the app settings section then I’ve explained in more details on how to see what third-party apps still have access to your data. Below gives you an idea of the user base by location that is most likely impacted by the Facebook –> Cambridge Analytica data sharing scandal.